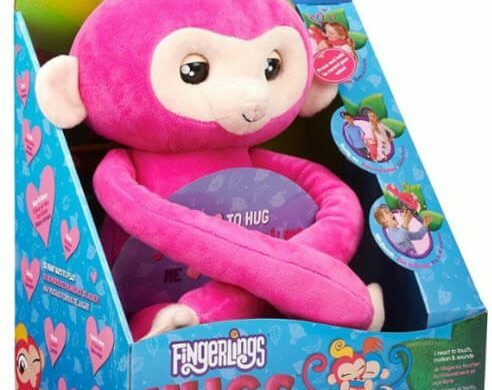 Delight your young animal lover with this Fingerlings Hugs interactive plush monkey. It responds to sounds and movements like rocking, swinging and tickling for dynamic play, and it repeats what your child says via its voice recording function. The extra-long arms of this Fingerlings Hugs interactive plush monkey make it fun to cuddle.